Every kitchen needs a great pair of oven mitts. Made from 100-percent cotton and lined with silver acrylic coated cotton, mitts are 13 inches long and measure 6.5 Inches from thumb to exterior side. These mitts feature quilted construction with insulation to protect your hands from the heat. 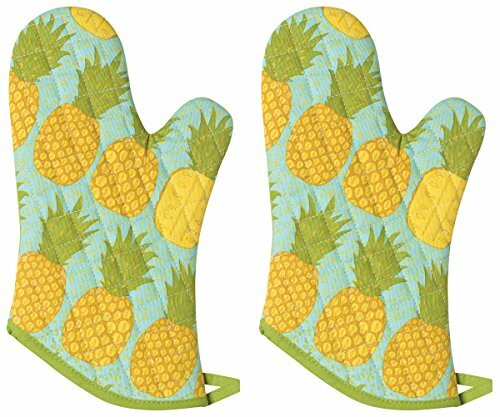 Set includes two matching oven mitts and mitts can be worn on either hand. End hooks provide convenient storage. Machine Washable.